Alluding to the state of emptiness, Almost Famous Craft Beer Bar was conceived to be a space to provide clarity to the experience. Adding nothing to influence and taking nothing away to distract from the emphasis of the subjects within the space. We want to push the boundaries of what defines how a craft beer bar should be. Conceptualised with minimalism in mind, the bar was designed to be an environment devoid of unnecessary aesthetics. 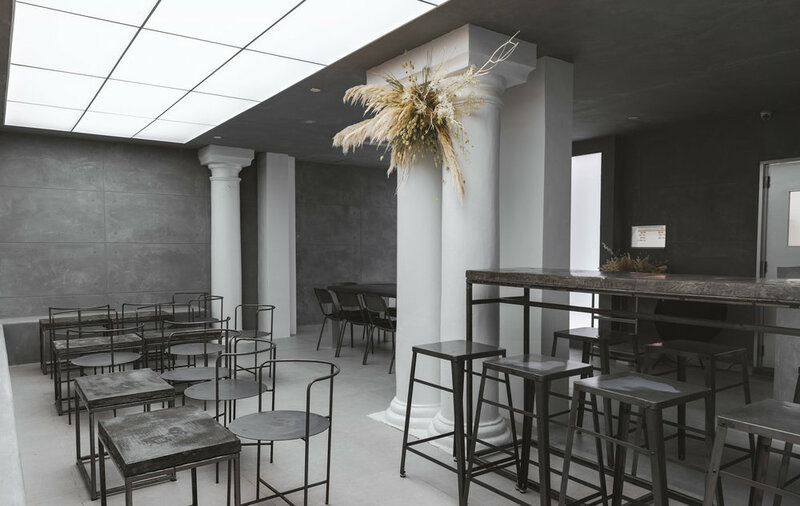 Every detail from the design of furniture, tableware, menu board, and even the coasters was selected with careful restraint, to achieve simplicity in form and function. A concept that was further enhanced by the choice of basic shapes and monochromatic palettes in the overall aesthetics of the interiors. We want this objectivity to be translated into nothing short of a memorable experience with the emphasis on people, food and craft beers.